We now sell bottled beer! Stop by today and pick up a six pack of your favorite beer. Founded in 1882 by J.P. and Theo Golden, The Golden’s Foundry and Machine Works has played a central role in the city’s industrial development. Manufacturing both farm implements and industrial machinery, Golden’s Foundry is one of a few major foundries in the country which still does “one off” castings of specialty items. 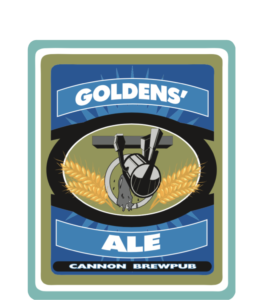 Our Golden’s Ale is named in honor of the Columbus institution. 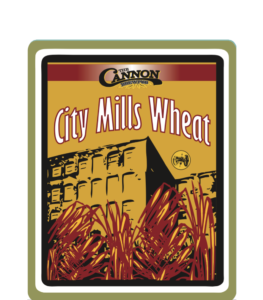 This beer is named for City Mills, the first mill built in Columbus in 1828. City Mills processed corn meal, flour, and livestock feed for farmers from all around Columbus. Our unfiltered American wheat beer has a slight smooth, refreshing taste, and some folks prefer it served with a lemon or lime wedge. It has a cloudy, golden hue, mild grainy aroma, and a refreshingly light body. The City Mill pairs nicely with seafood and lighter dishes. In the 1800’s the British Army had a problem. The beer send to the troops in India was going bad on the long boat trip. To combat the problem, English brewers developed a beer with extra hops to preserve it. This beer style became known as India Pale Ale, or I.P.A. Nowadays, here in Georgia, Ft. Benning provides Airborne training for all of the members of the U.S. Military’s special units. 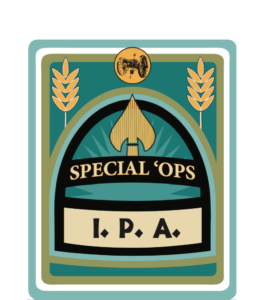 Our Special Operations IPA is brewed in honor of them. This is an aggressive, piney, citrusy, medium-bodied IPA. Brewed and dry hopped with copious amounts of hops, this beer’s flavor is unmistakable. When it’s paired with a steak or pork dish, you won’t be disappointed. In 1861, the Columbus Guards were presented a handsome brass salute gun. It was lovingly named “The Red Jacket” after the color of their uniform jackets. In 1997, The Cannon Brew Pub had a full size fire-able replica of the gun built, which now stands guard outside our front door. 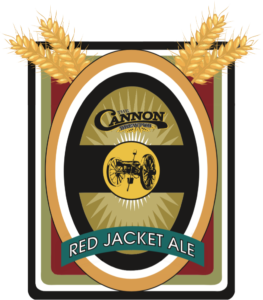 Our dark ruby Red Jacket Ale is brewed in honor of the Guards and their salute gun. A step up from the lighter bodied ales, this deep amber brew has a sweet, malty taste and a mild hop addition that creates a unique fruitiness. This is one of our most popular beers as it goes well with most of our menu. This rich stout is named for the CSS Jackson, an ironclad warship built in Columbus. Launched in December of 1864, the Jackson was still incomplete when she was burned in order to avoid capture a few months later, in April of 1865. She lived on the bottom of the Chattahoochee River until the 1960’s, when her remains were recovered. The Jackson now rests at the National Civil War Naval Museum here in Columbus. This full bodied stout is made in the best of British traditions. With a rich, creamy head and a coffee taste and aroma, it is sure to please the dark beer drinkers. When having the sampler, try this one last. The Ironclad works well with beef dishes and could be considered a dish of its own.